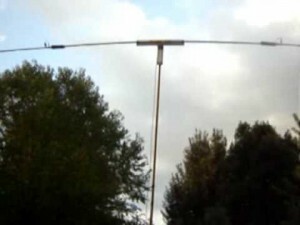 Good 20 meters antennas are easy to build with nothing more than readily available materials. Since 20 meters covers the frequency range of 14.0 to 14.35 MHz you can use a few algebraic formulas to compute antenna sizes. In the case of antennas for 20 meters you can see the antenna size begin to increase. 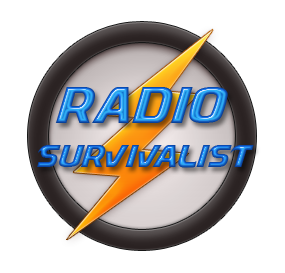 But a survivalist needs not be concerned about the size as most antennas for 20 meters are created as dipoles (dipole construction is covered on our page for 15 meter antennas). This formula: 234/f can be explained by dividing 234 by the desired frequency in megahertz which will give you the length, in feet, of a 1/4 wave antenna. This formula isn’t exact in that it assumes the radiating element is infinitely small. What this means is if the radiating element was one inch in diameter then the resonant length of the antenna would be a little shorter than the calculated one given by the formula gives you. Using the formula above you will soon see that an antenna for 20 meters is approximately 16 feet 5 and 11/16 inches in length. This antenna measurement can be used for either a vertical antenna for 20 meters or a horizontal antenna for 20 meters. 20 meters is considered the best band for DX during day and night hours. Survivalists should consider an antenna for 20 meters to be used for long distance communications. You can use 20 meters for local communications but it is not very effective at close range.